Is Hitchcock's "Vertigo" just the fever dream of a dying man? Excerpted from "Vertigo" © Charles Barr (2010). Reprinted with kind permission of the author, the British Film Institute and Bloomsbury Publishing. that Vertigo may best be regarded as an extended equivalent of Ambrose Bierce’s story (and Robert Enrico’s film) "An Occurrence at Owl Creek Bridge": that everything after the opening sequence is the dream or fantasy of a dying man (it makes no difference whether the dream occurs while he hangs from the gutter, as he falls to the street, or when he lies dying on the pavement). Set in the American Civil War, Bierce’s story starts with a man being hanged and narrates his fall, his miraculous-seeming escape and his return across country to his home and family – only to reveal at the end that he is hanging dead, and that these are thoughts that have gone through his mind in the final instant of his life. Hitchcock certainly knew the story, which was adapted for his TV show in 1959, with Robert Stevenson as director, thus predating the Enrico cinema version shown in 1962 as "Incident at Owl Creek." What is more, the first of the "Vertigo" script revisions delivered by [screenwriter Samuel] Taylor carries on its title page the startling words "From among the Dead, or There’ll Never Be Another You, by Samuel Taylor and Ambrose Bierce." Unknown presumably to Maxfield, since he doesn’t mention it, this playful inscription points to an affinity that goes deeper than any single structuring device. Bierce specialized in the short story, a form that Hitchcock liked to compare with film in terms of its narrative span, and he acknowledged, as did Hitchcock, a debt to Edgar Allan Poe. All three men were preoccupied by suspense, death and the uncanny, and the Poe who wrote that "The death… of a beautiful woman is, unquestionably, the most poetical topic in the world" would surely have loved "Vertigo." A story from the same Bierce collection as "Owl Creek" is entitled "The Man out of the Nose." The Nose is part of an old rocky terrace in the North Beach area of San Francisco, where a set of cave-like dwellings has the look of a human face; we may recall that Hitchcock’s proposed title for his next film after Vertigo was "The Man in Lincoln’s Nose" (Cary Grant on Mount Rushmore, in what became "North by Northwest"). Bierce’s story centers on a man obsessed with the wife of another; he views her at the upstairs open window of her home; their eyes meet, and, startled, she loses her balance and falls to a gruesome death. The man passes a year in an asylum, then goes to live near the Mission Dolores, before moving to "the Nose"; from there, he takes a daily walk to "fix an intensely expectant gaze" on the fatal window before returning home disappointed. And the very next story in this volume, "An Adventure at Brownville," ends with another Californian woman falling to her death, driven to it in some obscure way by an oppressive male ego. "With the smile of an angel upon her lips and that look of terror in her beautiful eyes Eva Maynard sprang from the cliff and shot crashing into the tops of the pines below!" The combination of location, event and psychology in these stories is, to say the least, extremely evocative of "Vertigo." Whether or not Bierce had an influence on the concept of the film already worked out between Hitchcock and [screenwriter Alec] Coppel, it’s evident from his title page that Taylor had him in mind as he reworked the script and supplied dialogue. Having spent many years himself in San Francisco, Taylor will have been well aware of Bierce as a man who was at the center of the city’s life in the key period of its transformation and growth, and as a writer who wove a whole series of uncanny stories around some of its landmarks: see for instance, in addition to "The Man out of the Nose," "One of Twins," with its encounters around Union Square. The square is the back-projected location for the bookshop in "Vertigo" run by Pop Leibel, to which Midge takes Scottie to help him investigate Madeleine’s nineteenth-century obsessions; as an authority on, in her words, the "gay old Bohemian days," Pop will know the real history of the place, such as "who shot who on the Embarcadero in August 1879." No one would have known such things better than Bierce, who was at that very date the editor of a San Francisco paper, the Argonaut (Leibel’s bookshop is the Argosy), and who was also secretary of the Bohemian Club. He was even a close friend of Lillie Coit (middle name Hitchcock), whose 1929 legacy would finance the building of the tower that bears her name and that is prominent in the film both visually and in dialogue. The Bierce influence would help to account for the film’s intense and rather magical quality of rootedness: in the city and its environs, in its historical past and in the uncanny dimensions waiting to be explored within and around it. This is notably different from Hitchcock’s habitually more simplistic attitude to settings, one based on ensuring that the audience is comfortably oriented by picking landmarks already familiar to them, and by naming key locations emphatically. In "The 39 Steps" (1935), for instance, we have on the one hand the London Palladium and the Forth Bridge, and on the other the Scottish estate of Alt-na-Sheallach, several times named to prepare us for important events that will take place there. "Vertigo" likewise offers the Golden Gate Bridge, the Missions, the repeated naming and use of Ernie’s, and so on; but beyond this there is an unusually rich texture of topographical allusion, at two levels: visual and verbal. We see some evocative places that are not named, like the redwood forest, Union Square and the Palace of Fine Arts (the building by the lake where, late in the film, the couple walk in the sunshine). Conversely, the Presidio, the Western Addition, Fort Point, the Bar at the Top of the Mark, the Portals of the Past, the Coit Tower and the Embarcadero are among the places which are named, also to evocative effect, but which we either don’t see, or see without, at the time, knowing their name. The external real world of San Francisco past and present is delineated with great precision, but in a mode that is at the opposite extreme from documentary. It can be a surprise to read, in interviews and publicity, about the pedantically precise concern Hitchcock often showed for surface realism, not just in factually based projects like "The Wrong Man" but in fantasies like "The Birds" (1963), where he had every school child in the location village of Bodega Bay photographed as a guide to the representation, and clothing, of the children in the film. (Cinema, vol. 1 no. 5, 1963) For "Vertigo" he commissioned precise recordings of the dimensions and contents of Ernie’s, the flower shop (Podesta Baldocchi) and the clothes shop (Ransohoffs), in order to recreate them exactly in the studio. The more anchored they are in the real, the more convincingly the interior and exterior environs can add up to comprise an alternate world of subjectivity and dream, like the reassuringly known and familiar world of home and its surroundings that Bierce’s soldier hallucinates in his dying moment on the scaffold. The specific "Owl Creek" idea proposed by Maxfield relates suggestively to Hitchcock’s established modes of narrative. Many of his earlier films show a central character unconscious, or daydreaming, and develop the adventure narrative directly out of that moment, as if to hint that it is generated from the depths of the unconscious, playing out the character’s inmost desires and anxieties. Think of Margaret Lockwood lapsing into unconsciousness at the start of the train journey in "The Lady Vanishes" (1938), or of Joan Fontaine in "Suspicion" (1941) daydreaming over photographs of a Cary Grant who then miraculously materializes at her window. More recently, "Rear Window" (1954) opened with a series of slowly moving shots which repeatedly link the outside world of the courtyard opposite, in early morning, to the back of the sweating, sleeping head of L. B. Jefferies, as if to insist that this world is contained within the dreamer’s mind. The descent into the eye, the nightmare quality of the opening chase and fall, and the use of the same actor in James Stewart, all seem to align "Vertigo" strongly, from the start, with "Rear Window’s" mode of oneiric narrative. But it’s less easy to pin down what kinds of inner tension the external narrative will be playing out. Stewart’s problem in "Rear Window" is clearly signaled as being a fear of marriage, of the settling down that is both prefigured and symbolized by having a broken leg in plaster. We get concise information about the personal lives of the Lockwood and Fontaine characters in the two earlier films, providing a framework for the wish-fulfilling love affairs that will develop. The same is true of the Powell–Pressburger film "A Matter of Life and Death," whose opening is as strange and disorienting as "Vertigo’s", but which tells us all we need to know about the David Niven character’s relation to his parents at the same time that it points him in the direction of romance. All these films, then, have a clear and precise psychological framework, as do the celebrated quartet with which Hitchcock will follow "Vertigo": "North by Northwest," "Psycho," "The Birds," "Marnie" (1964). 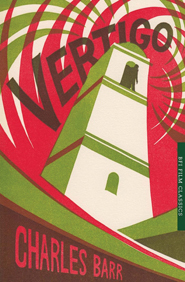 "Vertigo" itself remains more mysterious, more poetic. All we get to know of Scottie’s background is that he was once engaged to Midge, that he remains unattached, that he has independent means, and that his acrophobia means that he is now an ex-policeman. Unattached, independent, unemployed: this free-floating quality makes him a blank page for critics to write on, and an everyman for audiences to relate to. As the very first cast member hired for "Saturday Night Live," Gilda Radner set the mold for generations of comedic performers.